David Barsamian is the director of Alternative Radio in Boulder, Colorado (www.alternativeradio.org). 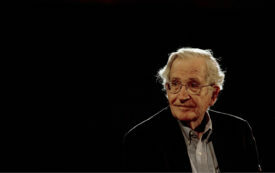 The president has abetted the collapse of a decaying system; Chomsky explains how. Noam Chomsky is a longtime political activist, writer and professor of linguistics at MIT.